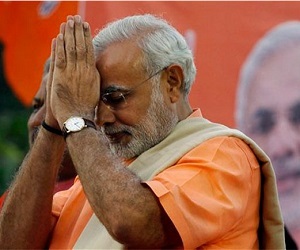 India’s new PM – A fresh chance for firms? After winning a clear majority with 282 seats in India’s parliament, Narendra Modi and the BJP have been given a golden opportunity to force through their program of economic development and market liberalisation. Although the topic of opening the country’s legal market to foreign firms has never specifically been named by Modi, it is an idea that is consistent with his policies. According to the co-founder and managing partner of the Indian firm Trilegal, Anand Prasad, there is a ‘good chance’ that the legal market will be opened to international firms in the next two to three years. “However, if Modi misses that window, we might have to wait for the next government since most governments will want to avoid such a decision close to the next election,” Prasad told NZ Lawyer sister publication, Australasian Lawyer. Under current Indian regulations, foreign law firms cannot practice law in India, but many firms still manage to undertake work in India through informal alliances. Trilegal previously had a relationship with Allen & Overy, however it was abandoned when it became clear that the anticipated liberalisation would not eventuate. Prasad believes that opening India’s legal market to foreign firms would be a positive move overall. “There will be an all-round improvement in the quality of legal services available in India, hence clients will benefit, associates and junior partners will get paid better and Indian firms will be able to hire foreign associates and partners and be able to expand outside India to become international,” Prasad said. King & Wood Mallesons and other firms currently undertake work in India through ‘virtual practice groups’ which are usually comprised of partners who are based in other Asian hubs such as Hong Kong or Singapore. In 2010, Freehills and Clayton Utz were amongst international firms facing legal action in India aimed at preventing them from working there. Parties opposed to allowing foreign firms to operate in India believed that it was unfair that there was no reciprocal arrangement that allowed Indian firms to open in other countries. Other opponents of liberalisation were concerned that younger partners and associates would defect to international organisations, and that firms would stop getting referral work from international firms already present in the country. Despite not being allowed to practice on the ground, foreign law firms have been able to build up India-related legal businesses. Ashurst ranked 11th and Minter Ellison 17th.